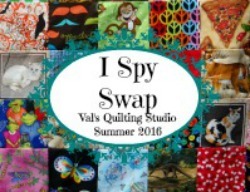 Val's Quilting Studio : Crafted Applique Book Give-Away! Warm weather getting sick of cold, rain, and snow! 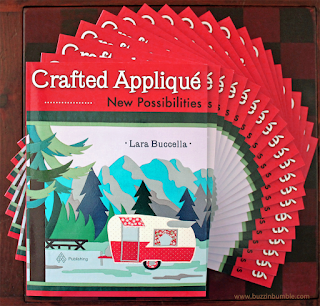 Val, thank you for sharing Crafted Appliqué: New Possibilities with your readers! I'm really glad you feel confident appliqueing those tricky shapes now! (And those oak leaves in the book have been through the washer and dryer too!) Can't wait to see what you'll be making with your lettering! What I love most about summer is the longer daylight hours, especially the long evenings when the sun is lower in the sky. Summer is my favorite time of year--the fruits and vegetables, the sunshine, the flowers. I spend a lot of time in my yard and garden, and love to can my harvests. I am looking forward to visits with our family that we don't see very often. Thank you for such a great review! :) Am looking forward to Summer, soooo much this year! Reunion, visit to husband's Sister in GA, and visit to our Daughter's house in NC!! Also our garden & canning, just being outside often, clothes hanging on clothesline, extra days with the Grangirlie..teaching her to sew! 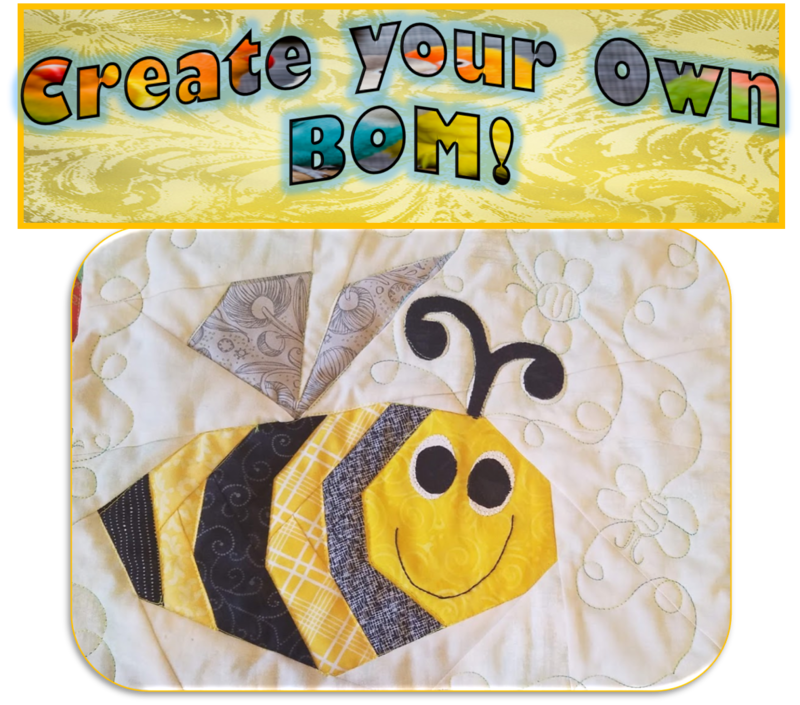 ...and sewing/quilting on rainy days! LOOOOVE Summer! Starting our new house! We dig the basement in July!!! Looks like you will have no trouble with fraying using Lara's method. Will your project be for your home or your classroom? It's very inviting! My summer begins in August when I have finished teaching and I'll have more time for sewing Yipee. I also have 3 weeks holiday so it can't be bad. I look forward to spending one week at my sister in laws lakefront property and maybe winning this wonderful book. I am looking forward to warmer weather, and to spending time with my family. Warmth and sunshine. We have snow flurries today. In May. Sigh. Letters! What a great idea for using Lara's method! i look forward to enjoying the bright sunlight through the windows of my air conditioned house. i don't like gray skies but i also don't like the hot, hot summers in this part of texas. Sunshine and flowers make summer just right. Can't wait to get this book and try the technique. Thanks for a great review. I am looking forward to not having to rush out the door every morning to get the kids to school. Spending time outside in the sunshine and camping with the kids!! I'm looking forward to a vacation that my husband, our 26 year old son and I will be taking. And plenty of quilting when I'm home! Looking forward to warm weather (not hot) and concerts in the park. I'm looking forward to fewer scheduled obligations, so more time to sew instead of squeezing it in here and there. At this moment, I am just looking forward to warm weather! We had frost on the ground this morning and the furnace is still on! Other than some heat, I'm looking forward to grilling and eating outside, tending to my garden and sitting on the porch in the evenings! Great book, Lara, and I can't wait to get my hands on it! Ordered this book on Amazon after a different blogger mentioned it and was also doing a give-away. Alas, I never win a single thing. (I have given up!). Book comes next week-can't wait! I own that country threads pattern as well! I am looking forward to warm weather, it is snowing in NW PA today! Well....I know I should say something clever...or quilty...or DEEP....but at this very moment what I'm most looking forward to is a fresh, juicy, ripe red tomato from the garden. The Catmint sewing machine cover is absolutely the cutest. I'm sure her method will be just the thing to use to make it. Summer...I look forward to gardening and then eating, freezing, canning, drying and sharing all that garden produce. I am looking forward to a visit from my Grandson this summer. What I love most about summer is the fresh fruit...nothing like wonder juicy strawberries and peaches!! Ahhhh....the long summer days!! You piece will be so easy to finish up using Lara's great technique. This summer we are awaiting our first grandbaby :-) It will be a good summer, for sure. Thanks for the giveaway. This book looks so awesome. And I would love to try the applique. I love how it stays light longer. More time for sewing! That's a hard question... everything I can think of has to do with cooling down, and that's less about what I look forward to in Summer and more about how I survive it. Actually, I think the thing I look forward to the most in Summer is Christmas! Eating dinner on the veranda, growing flowers, grilled anything! Right now it is raining but we need it. Soon it will be dry and sunny. I am also from Montana as the above reader. We have a wedding to attend and we're moving my MIL to Montana from Oregon--free babysitting! We love fishing and enjoying our Minnesota lakes. Looking forward to long, lazy days with a good book and a fun quilting project...not to mention consistently warm temperatures. I would love to win Lara's book. I love applique and want to give her method a try. This summer we will be heading to see my mom for her 90th birthday! It will be a car trip and I am looking forward to seeing sites along the way and stopping at some quilt shops too. Warm weather and pretty flowers and then there is my 50th class reunion in August... lots to look forward to this summer. Playing outside with the grands. Ripe garden prizes. Days with my Hubby. Havng more time with grandchldren after school is out! And, of course, lots of sewing! Thanks for the give-away! I look forward to the summertime activities like swimming, kayaking, camping, hiking and biking with family and friends besides of course finding time to stitch and create with them and alone too. Since it was briefly snowing! here on May 15th, I'm looking forward to a full week of warm weather. I think I need this book since applique and I don't seem to get along very well. I am looking forward to the abundance of fresh fruits and vegetables at reasonable prices. AND the figs on Mom's fig tree for doing some canning. This year I'm looking forward to playing with my little grandbaby girl outside!! She will be a good 1 1/2 years old by the time summer gets going. She's already fun to play with inside! Attending Quilt Canada in Toronto ON. Looking forward to a trip to the beach! Looking forward to tomatoes and zucchini from my garden. I look forward to having more time to quilt. the beach! Thanks for a chance to win. Every Summer I look forward to picking cherries off our own trees. 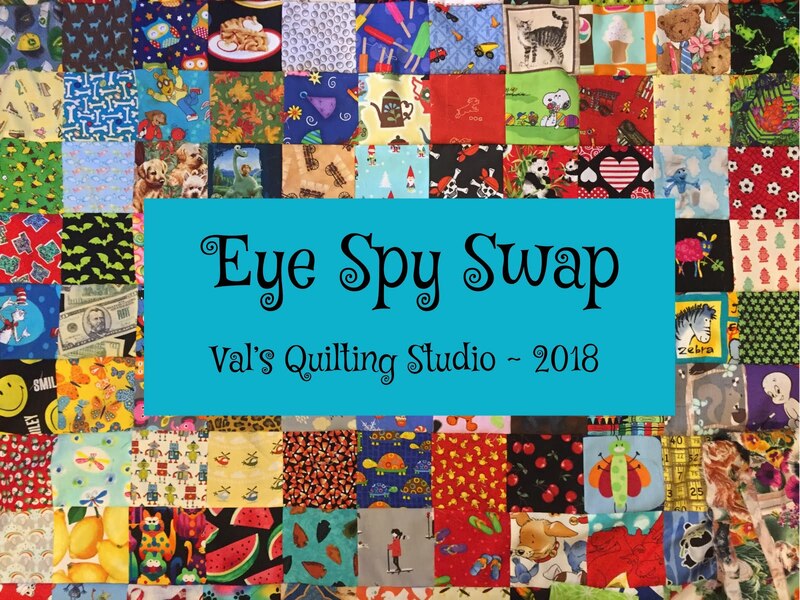 ps....I mentioned your swap in my blog post today as promised...hope you can come by and take a peek. What am I looking forward to most about this summer? My retirement!!! May 31 and I'm finished with my Day Job. 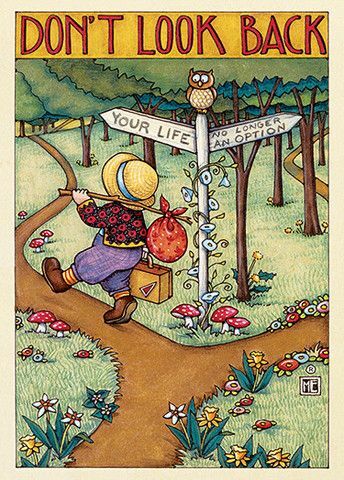 Setting out on a new journey now. Will celebrate with friends, have a couple of reunions, vacation, hosting get-togethers and fitting in lots of sewing and long arming. SO looking forward to it. Warm weather and camping is what I am looking forward to! Well, it's going into winter here Down Under and I am already sick of it. Looking forward to the sunshine and no doubt will then be whinging about the heat. Warmth and my parents are driving out from Oregon to visit for a couple of weeks! I am looking forward to helping out my nephew's band at the gigs he has scheduled this summer. It's all about the heat for me! I may have been a reptile in a previous life...bask me in the sunshine and warmth and I'm happy!! I'm looking forward to unstructured family time. Thanks! The lighter nights and the kids being on school holidays! ENJOYING WARMER WEATHER+FAMILY OUTINGS! THANKS FOR SHARINIG! What I love about summer is the flowers everywhere and the delicious fresh fruits and vegetables. There's nothing like a fresh juicy peach or slice of watermelon. New potatoes. Corn on the cob. I could go on and on! I love being able to cook on the bbq and enjoy swimming in the pool each day. Oh, and family time at the beach! I am so intrigued by the design concept in the book! I live a mile from Lake Michigan and I love walking on the beach and hiking in the adjacent park. 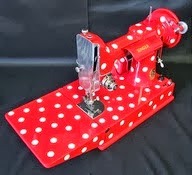 I am looking forward to alot of travel this summer, but will really miss my sewing machine. Will betaking along hand sewing. I am looking forward to the sunshine and travel to the beach! I'm looking forward to warm weather and gardening! Hmm, maybe I should check out that book. I've yet to find applique palatable in any form. Looks like a great technique. I'd love to give it a try. Thanks so much for sharing. I look forward to spending more time with my daughter this summer, who's home from college. This looks like a great book and I really hope I win because I love, love applique. I'm looking forward to spending time in my garden! I look forward to have more time to relax in our garden! I love the blooming flowers! !